Bold colors, bold design, limited editions, unprecedented options for customization - Scion is a young brand for vehicles, but they have already made a major name for themselves in the automotive market. Produced by Toyota Motor Corporation for North America, Scion's target demographic is Generation Y. 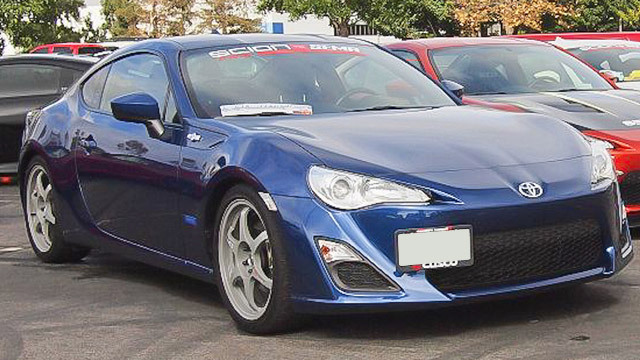 Some might find the narrow focus limiting, but Scion has found a niche to fill that seekers of unique vehicles crave. As a Scion owner, you can be confident that you drive a uniquely styled automobile that makes a statement few others can imitate. You drive an original, one of a kind vehicle. Whether you need routine maintenance or repairs for major damage, our team of certified technicians provide top-notch service. Give your custom vehicle the custom service it deserves - Call our shop or stop in to schedule your service appointment today!